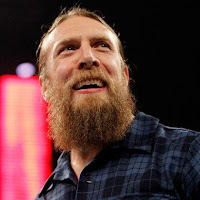 Daniel Bryan took to Twitter on Thursday to rip Chase Field, the site of Sunday’s Royal Rumble pay-per-view. Bryan is not happy about the Chase Field Twitter account promoting the new Royal Rumble Burger. Bryan is clearly playing up his heel character but much of what he has been saying on WWE TV and on social media about wanting to save animals from being killed for food is how he truly feels. Whoever runs the Chase Field account probably doesn’t know that. Last week, Bryan ripped WWE and AJ Styles for encouraging fans to eat hot dogs.